Sgt. 1st Class Severin W. Summers III died while conducting combat operations in the Qole Gerdsar, Afghanistan, Aug. 2, 2009, while serving as a Special Forces Engineer with Charlie Company, 2nd Battalion, 20th Special Forces Group (Airborne), headquartered at Jackson, Miss. 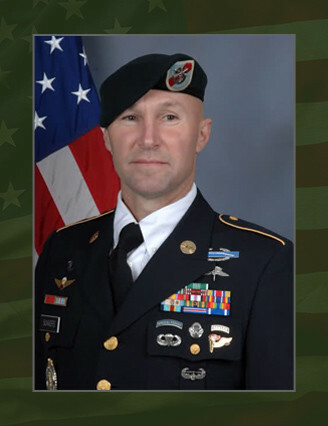 Summers, 43, was killed when a command wired improvised explosive device struck his vehicle while deployed to Afghanistan in support of Operation Enduring Freedom. Summers, born in Lafayette, La., enlisted in 1989 as an 11B, Infantryman. He later attended the SF Qualification Course, graduating in 2002. Summers then joined 2nd Bn., 20th SFG (A). After graduating U.S. Army Ranger School successfully, he was assigned to ODA 2065, the SCUBA team. He then volunteered for the Special Operations Combat Diver Course in Key West, Fla.
Summer’s military and civilian education includes the Basic Airborne Course, Military Free Fall Parachutist Course, Ranger School, Special Operations Combat Diver Course, and Long Range Surveillance Leaders Course. He also received his Bachelors of Science from Louisiana State University. His awards and decorations include the Bronze Star, Purple Heart, Meritorious Service Medal, Army Commendation Medal, Army Achievement Medal, Army Reserve Components Achievement Medal, National Defense Service Medal, Global War On Terrorism Service Medal, Noncommissioned Officers Professional Development Ribbon, Army Service Ribbon, Overseas Service Ribbon, and Armed Forces Medal. Summers also earned Parachutist Badge, Air Assault Badge, Pathfinder Badge, Scuba Diver Badge, and Military Free Fall Badge and the Ranger and Special Forces tabs. Summer’s is survived by his wife Tammy Fraser and his daughters Jessica, Shelby & Sarah.